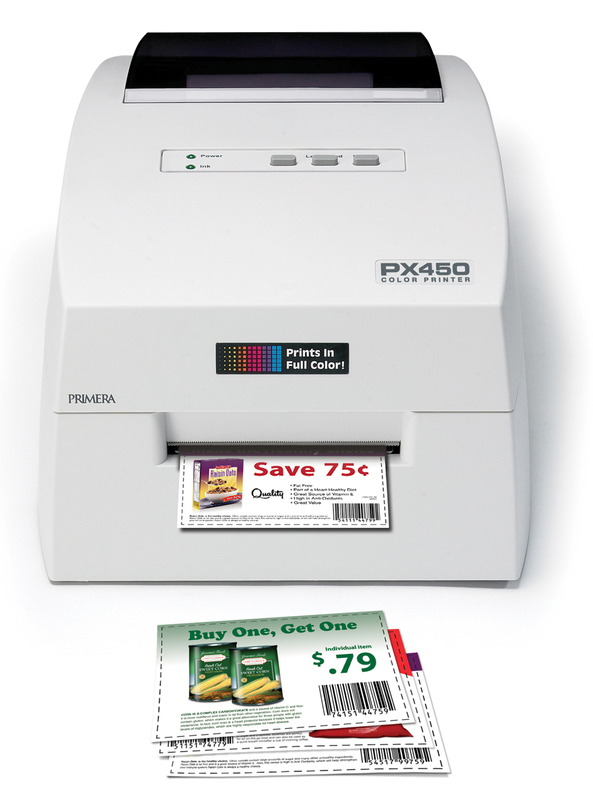 rimera’s PX450 Color Printer is a compact, full-color POS printer designed for use at retail point-of-sale and other point-of-issue applications. It is ideal for printing coupons, receipts, tickets, name badges, wristbands and other types of narrow-format output. Print times are fast, producing a typical 4” x 2.5” full-color coupon in under five seconds. The built-in guillotine cutter allows forms of any length to be printed, cut and dispensed. The printer's small size and compact footprint allows it to be installed on counters with limited space. PX450 Inkjet .75" - 4" 1" - 4.25" 4800 5" 2"